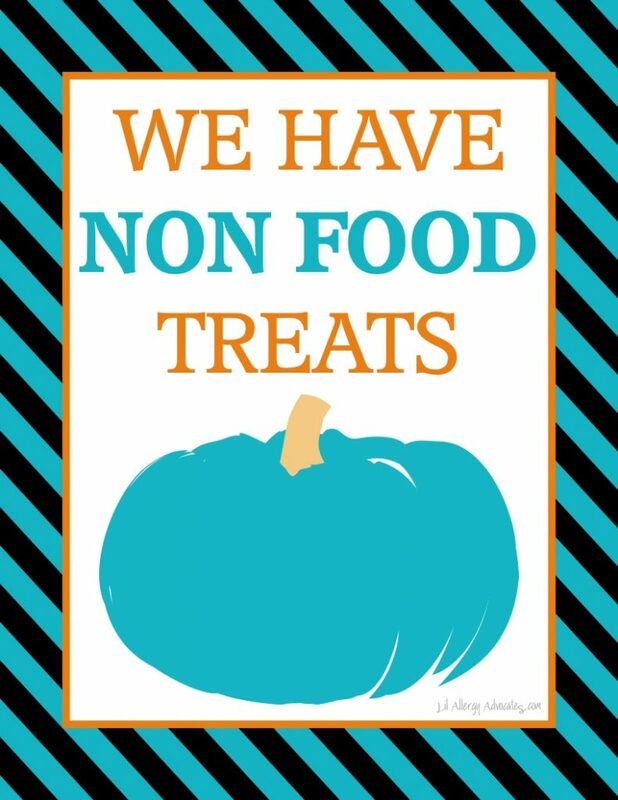 Food allergy friendly trick or treating signs for Halloween. 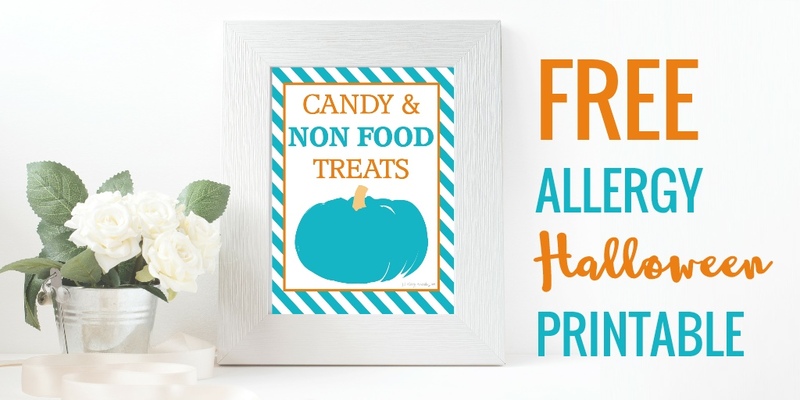 Click to download these free printable signs for your home. 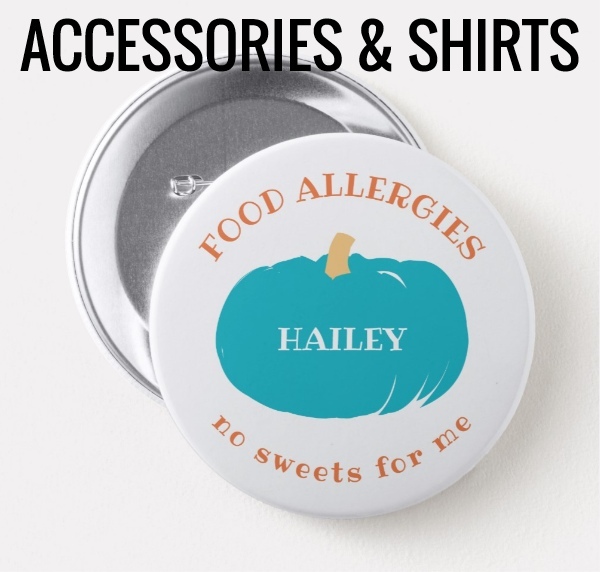 Let others know you have non-food treats available for little ones. 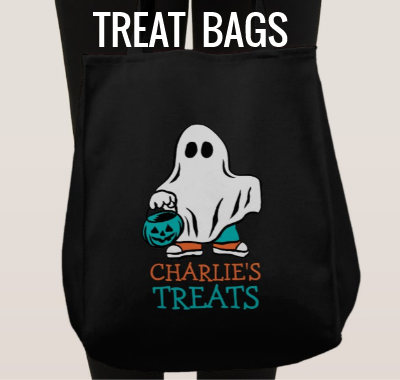 Two versions available with giant teal pumpkin. 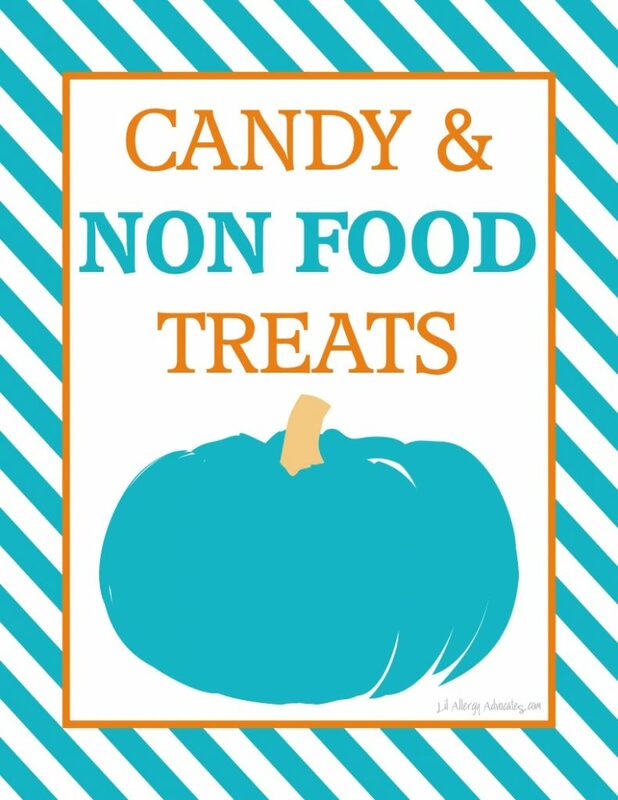 You can find some fun ideas for non-food treats in party stores, dollar stores, or make it easy and just order them online from stores like Amazon. This list contains some affiliate links. 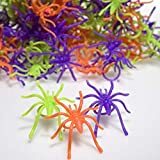 Back Scratchers – Kids toy version come in fun spider theme back scratchers. Bookmarks – Make your own or give out scratch art bookmarks kids can color their own. Books – Books to read or coloring activity books. Bubbles – Halloween or monster themed bubbles. Buttons – Halloween themed mini-buttons. Crayons – Some come in Halloween themed packs of 4. Erasers – Choose from fun shapes like food or vehicles. Eye Patches – Not just for pirates. Some funny zombie eyepatches too. Fans – Folding fans in bright colors or animal prints. Flowers – Real or fake flowers. Foam Gliders – A small aircraft to put together. 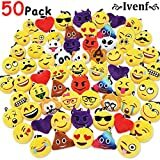 Glasses – Zombie eyes, glasses with mustache disguises or 3D glasses. 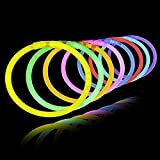 Glow Sticks – Available in sticks, necklaces, bracelets and rings. Homemade Crayons – Lots of blogs have how-to tips to melt old crayons into new shapes. 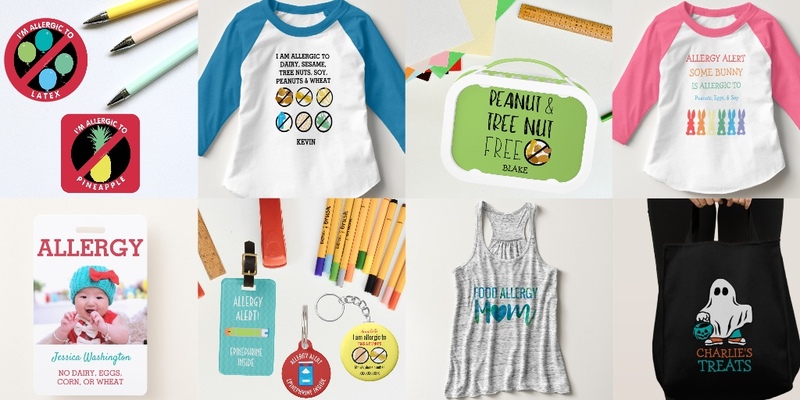 Kazoos – Little plastic music instruments or harmonicas. Mazes – Halloween themed maze games. 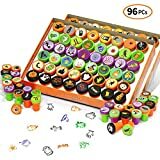 Mini Puzzles – 3D Cube puzzles in Halloween themes. 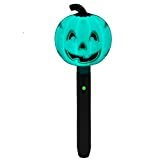 Mini Skateboards – Halloween themed skateboards. Necklaces – LED light up necklaces. Paddleball Game – Zombie themed eyeball paddleball or Superhero themed game. Parachute Toys – Animal or people parachutes. Pens – Novelty Halloween pens that look like vials of fake blood. Pinwheels – Pinwheels that look like fall leaves. 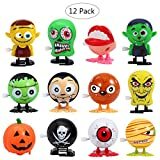 Rubber Ducks – Halloween themed glow in the dark rubber ducks. Silly Putty – Classic silly putty in egg-shaped containers. Slinkies – Mini Halloween themed coils. Spider Rings – Glow in the dark rings or spider jewel rings. Sunglasses – Fun star-shaped sunglasses. Tattoos – Halloween glitter tattoos. Be careful of skin sensitivities as some tattoos contain soy or other allergens. Vampire Fangs – Some of these glow in the dark too for a spooky effect. Wind-Up Toys – Fun assorted wind-up toys come in bugs, animals, and dinosaurs. 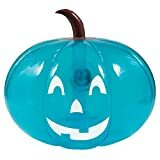 SCS Direct Inflatable 35" Giant Halloween Teal Pumpkin - Official Teal Pumpkin Project Allergy-Friendly Trick or Treat Decor - All Sales Supports F.A.R.E.